As a kid, I grew up loving and also fearing the classic Universal Monsters. I used to be terrified going to Universal Studios Horror Make-Up Show as a kid cause I would see these terrifying creatures and monsters. Just fell in love. Universal Home Entertainment is making horror fans biggest dream come true bringing all these wonderful films together in “Universal Classic Monsters: Complete 30-Film Collection”, available now. The thing that I am more excited about is that I will be able to share these great films with my daughter as she is growing up and continue the wonderful legacy that these films that brought and influenced over the decades! This is the first time ever that these film’s have been available together on Blu-ray. 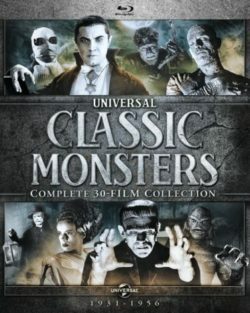 The Universal Classic Monsters: Complete 30-Film Collection includes Dracula (1931), (1931 Spanish Version of Dracula included as extra feature), Frankenstein (1931), The Mummy (1932), The Invisible Man (1933), The Bride of Frankenstein (1935), Werewolf of London (1935), Dracula’s Daughter (1936), Son of Frankenstein (1939). The Invisible Man Returns (1940), The Invisible Woman (1940), The Mummy’s Hand (1940), The Wolf Man (1941), The Ghost of Frankenstein (1942), The Mummy’s Ghost (1942), The Mummy’s Tomb (1942), Invisible Agent (1942), Phantom of the Opera (1943), Frankenstein Meets the Wolf Man (1943), Son of Dracula (1943), House of Frankenstein (1944), The Mummy’s Curse (1944), The Invisible Man’s Revenge (1944), House of Dracula (1945), She-Wolf of London (1946), Abbott and Costello Meet Frankenstein (1948), Abbott and Costello Meet the Invisible Man (1951), Creature from the Black Lagoon (1954), Abbott and Costello Meet the Mummy (1955), Revenge of the Creature (1955) and The Creature Walks Among Us (1956) wraps it up, WHEW! In the time we live in together were we have films like “Saw” or “The Purge” posing as horror films, it is great to be able to showcase the ORIGINAL most iconic monsters in motion picture history including Dracula, Frankenstein, The Mummy, The Invisible Man, The Bride of Frankenstein, The Wolf Man, Phantom of the Opera and Creature from the Black Lagoon. This collection features the each of their films which stared some of the most legendary actors including Bela Lugosi, Boris Karloff, Lon Chaney Jr., Claude Rains and Elsa Lanchester. These are characters that we can not let disappear they pioneered the horror genre with their with groundbreaking stories and productions. First time ever hitting Blu-ray are the following films: The Invisible Man Returns, The Invisible Woman, Invisible Agent, The Invisible Man’s Revenge, Revenge of the Creature (first time also in 3D) and The Creature Walks Among Us. I should mention that Revenge of the Creature isn’t even available on the included set at the time of receiving. Universal has already setup a replacement program to receive a corrected Blu-ray disc featuring the 3D version of Revenge of the Creature and 2D version of The Creature Walks Among Us. Hopefully that is correct in future wave of this release. To receive an updated disc, please email USHEConsumerRelations@visionmediamgmt.com. To think that some of these films are nearly 90 years old! YES nearly 90! These films simply look amazing. I am not a film specialist but when you are watching these films on Blu-rays, the 1080p transfers are simply amazing. You can see all the fine detail that went into these wonderful productions. Top it off with beautiful scores from each of these films. Music drove these films and it added suspense, which is nothing like we have today. These films are still scary with their DTS-HD Master Audio Mono tracks. Simply beautiful and makes me really miss these types of scores. The bonus feature in this set are literally jam-packed with great extras. There are great behind-the-scenes documentaries and great featurettes focusing on these legends like Bela Lugosi, Boris Karloff, Lon Chaney Jr., and Jack Pierce. If you are a commentary buff like myself you will be happy to hear that their are 13 feature commentaries with film experts. Lastly there are tons of great archival footage, photos and trailers. I think this giant box set has more content that I can even watch. 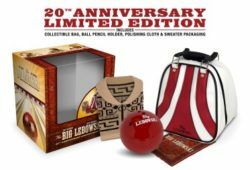 Additionally this also includes a 48-page collectible book filled with behind-the-scenes stories and rare production photographs. Seriously, just a must have for any horror fans! The entire DIO studio album collection is now complete! 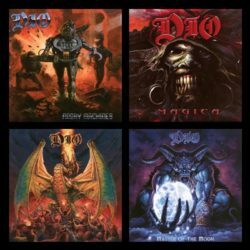 BMG and Niji Entertainment Group Inc. have partnered to reissue DIO’s 1996 – 2004 studio albums. Fans will finally be able to enjoy official versions of Angry Machines (1996), Magica (2000), Killing The Dragon (2002), and Master Of The Moon (2004). These titles have sold a quarter of a million copies in the US alone and have been out of print and unavailable for nearly five years. Beginning today, September 14, 2018, all four albums will be available globally on all DSP’s. The launch date lines up with Julien’s Auctions tribute to one of the most influential heavy metal heroes and forefathers of headbanging music with the “Property from the Estate of Ronnie James Dio” auction, live at the Hard Rock Café in New York today, September 14 and Saturday, September 15. All you have to do is let us know below what film you think could inspire it’s own “making of” film? Behind the scenes with the Munchkins on “The Wizard of Oz?” Hanging out in the Shire for “The Lord of the Rings” trilogy? It’s up to you. This giveaway will run through Monday, November 6th and will end at 10:00 pm CST. At that time, (5) random winners will be selected and those winners will be notified by email. “My Little Pony Tales” is one of the follow up series to the original 1980’s “My Little Pony” series. It aired in 1992 though only lasted one season. This is the first time that all 26 adventures are included in one set, thanks to Shout! Factory. My daughter is a big fan of “Friendship is Magic” series of the “My Little Pony” franchise. She recently took a liking to the “My Little Pony: The Movie” DVD release, also put out by Shout!, so she was really excited to get into this series. Official Premise: Ponyland is full of excitement, if you know where to find it, and now all of your favorite My Little Pony Tales are finally collected in one amazing set! Join the 7 Pony Friends (Starlight, Sweetheart, Melody, Bright Eyes, Patch, Clover and Bon Bon) for 13 episodes of outrageous fun! Games, picnics, ice cream shops, roller derbies and even UFOs… nothing is off-limits when it comes to grand Pony adventures! The quality of the episodes honestly aren’t spectacular. Like the Complete Collection of the original 1980’s “My Little Pony” series, released from Shout! last year, it is really subpar quality and not terribly impressive. The colors seem very muted and lacking the charm that is brought in “Friendship in Magic” series. There are no special features included on this collection other than the 26 episodes. Still I am curious to see what Shout! has planned next for “My Little Pony”. When my wife and I started dating back in 1999, she gave me the first volume of the Walt Disney’s Classic Storybook. I have always loved that book. The stories are so timeless and give you the ability to open it up at any time and revisit your favorite Disney stories very easily. I thought to myself that I was going to hang on to this book until I have kids one day and then this would make a great bedtime book. Fast forward 15 years, we have a two year old together now and there is a third volume of this series released perfect timing for our daughter bedtime story reading tradition. If you love Disney, this book is a must own. This new third edition of Walt Disney’s Classic Storybook Collection retells some of Disney’s best known stories, including “Cinderella”, “Peter Pan”. “Lady and the Tramp”, “The Love Bug”, “Sleeping Beauty”, “Bambi” and “Pinocchio”. Also included are some lesser-known but still classic tales such as “Pluto Pup Goes to Sea” and “The Flying Car”. This updated collection also contains over 300 beautiful pieces of vintage art as well as gilded pages. This book is perfect to just flip through of to look at the wonderful artwork or to sit down and read these wonderful stories. Each story is not to long either, so as I stated they are perfect for bedtime stories. I hope Disney doesn’t wait too long to release a fourth volume because we are already half way through the book. This two disc box set includes four classic “My Little Pony” movies, including: “Princess Promenade” (2006), “Runaway Rainbow” (2006), “Dancing in the Clouds” (2004) and “Friends Are Never Far Away” (2005). Shout! is a huge backer of this series and I can’t wait to see what they have planned next. I have my figures crossed for the original 1980’s series. With the success of “My Little Pony: Friendship is Magic”, this series is now more popular than ever. Recommended for any fan of “My Little Pony” both young and old. Official Premise: The My Little Pony adventures you grew up with are back in this collection of four timeless classic tales of Pony-rific fun! Join your favorite Ponies, including Wysteria, Pinkie Pie, Rarity, Rainbow Dash, Minty, and even Spike the Dragon for four outrageous tales guaranteed to make your heart swell and teach you the true meaning and value of friendship and teamwork! “Princess Promenade” Premise: Wysteria and Pinkie Pie cross paths with a sleeping dragon named Spike who crowns someone a new princess. “Dancing In The Clouds” Premise: Twinkle Twirl tries to come up with a great idea to help with a dance for the Friendship Ball. “Runaway Rainbow” Premise: Rarity is teleported to another land. She wonders if she will be rescued in time to make the first rainbow of the season. “Friends Are Never Far Away” Premise: Ponyville and Butterfly Island try to become friends and work together. My daughter is 19 months old and she has been obsessed with “Monies” as she called them since we received “My Little Pony: A Very Minty Christmas” last October. I personally would prefer the animation style of the 1980’s “My Little Pony” or even “Friendship is Magic” but my daughter is the one who is watching this over and over and over, so she really seems to dig it quite a bit. In terms of special features there is only a sing-along included for “Princess Promenade” and that is all. Ever since I was a kid, I have been a huge fan of Pink Floyd, starting with “Dark Side of the Moon” (thanks Dad). After listening to this album over and over and over, I never got tired of it and still never have. “Dark Side” is one of those records that just gets better every time, I can’t explain it but if you are a Floyd fan that you will know what I am talking about. “Classic Albums – The Making Of Dark Side Of The Moon” was originally released in 2003 and covers the making of this amazing album. It features great interview with with band members including Roger Waters, Richard Wright, David Gilmour, and Nick Mason. But more than that there are also great and very insightful interviews with engineer Alan Parsons, the late designer Storm Thorgerson, and tons of others. After 40 years, “Dark Side” is still one of the best selling albums in history and will continue to shine on. Eagle Rock Entertainment is behind this Blu-ray release to be honest it just feel a little lazy. This is the first in there new SD (Standard Definition) Blu-ray releases. So basically this is just an upscaled versions of the original DVD. So it is cool to have it on Blu-ray but it is not really worth the upgrade if you already own the DVD’s. Along with “The Making of The Dark Side of the Moon”, they are also giving this treatment to the following Blu-ray “Bee Gees: One Night Only”, “Scorpions: Moment of Glory”, “The Rolling Stones: Stones in Exile”, so be wary of these as well. In terms of audio, the uncompressed LPCM 2.0 track works but I would have love to see this given a DTS-HD Master Audio 5.1. Since this was originally shot for television, it runs 50 minutes. But there is an additional 40 minutes of bonus Features included on this Blu-ray. There are extra portions on “Brain Damage”, which features a complete solo acoustic performance by Roger Waters, which is amazing. “Money” features Roger Waters and Alan Parsons discuss the song and weaved in-between is David Gilmour playing guitar and Roger Waters playing bass. “Us And Them” features the late Richard Wright talking about the song and playing solo piano. “Breathe” features a complete solo acoustic performance by David Gilmour. “Time” features Waters discusses the track and showing demo footage. Lastly “Gilmour’s Guitars” focuses on track tracks including “Breathe”, “The Great Gig In The Sky” and “Us And Them”.